Did you know that in addition to collecting email contacts you also should maintain a healthy email list? It’s likely that some of your contacts will change interests, jobs, or email addresses and will become disengaged with your emails. Your task, if you choose to accept it, is to regularly clean out your contact list, improving your email marketing scores and list health. Good health is important for your list, it’s also important for your budget. When is it Better to Have Fewer Subscribers? Did you know that if enough subscribers stop engaging with your emails it inevitably causes more harm than good? 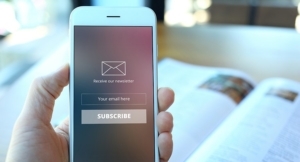 The success of email campaigns should not be measured by the number of subscribers. Instead, it should be measured by the quality of subscribers. “Email List Heath” is a common term in the email industry. The healthier your list, the higher your open and deliverability rates will be. One key factor in maintaining a healthy list is your sender reputation. What is Sender Reputation and How is it Calculated? Email Providers (like Google, Yahoo, etc.) determine your organization’s email reputation score based on how your subscribers interact with your emails. The higher the score, the more likely your emails will be delivered. If the score falls low enough, emails will go to spam or be rejected. There are a few obvious things that can cause this score to go down, like reporting an email as spam or sending emails to undeliverable addresses. There are also some actions (or non-actions) your email subscribers take that can cause your score can go down. It’s important to protect your sender reputation by periodically removing unengaged subscribers. Engagement is defined as opening an email in the last 120 days. Re-engagement campaigns containing special, targeted offers should be sent when a subscriber hasn’t opened an email in a 6 month to one year period. Subscribers can start to be removed after re-engagement campaigns are sent and certainly after one year. If your list contains subscribers who have not engaged in several years, these addresses should be removed without the need for a re-engagement campaign. They are generally dormant email addresses and removing them from your list will give your sender reputation an immediate boost and make sure your content is delivered to your most engaged and valuable subscribers. As your digital marketing efforts grow, so does your list and so too does your responsibility. FootSteps Marketing knows how time-consuming and difficult managing a list can be; that’s why we have a team of experts ready to help you whip yours into shape with a variety of options. Our favorite is the tried and true Re-Engagement Campaign. 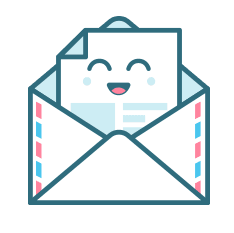 We’ll help you audit your list, build an email marketing campaign that will inspire those unengaged to either open or click the email and stay on your list or be kindly removed. The better your ratio of engaged to unengaged email contacts you have on your list, the better your campaign scores will become and the more successful your campaign will be, driving revenue and footsteps through your doors. We’re here to help you make your hard-earned contact list healthier and your campaigns more successful.